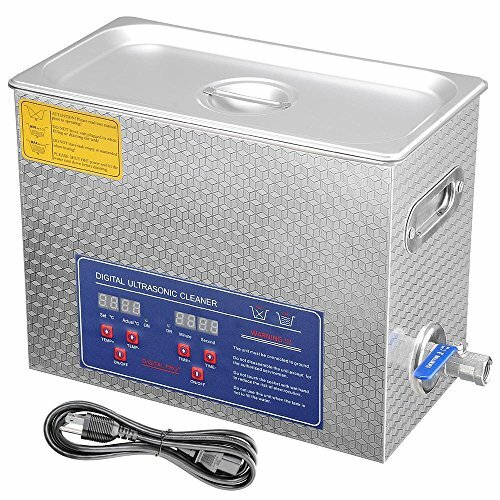 Large cleaning tank suitable for cleaning larger and more objects, such as handguns, long dental equipments and tubes. Three sets of built-in Powerful Transducers can strengthen the ultrasonic power and make superior cleaning outcome. Outfall in the bottom of the tank and flow control valve for easy cleaning and rinsing. Comes with stainless steel cleaning basket. CE, FCC and RoHS Approved, Power line of UL certification. Perfect for cleaning the longhole, finedraw and shelter of piece part or workpiece.